1000 H2 V-Twin 4-Stroke Engine w/EFI: It loves to run in cold or hot weather. The 1000 H2 is a 951cc, SOHC, liquid-cooled 90° V-Twin with EFI. With features like a high-capacity radiator and thermostatically controlled cooling fan, you can count on EFI for cold weather starts and consistent fuel delivery in higher elevations. Digital/Analog Gauge: Knowledge is key. The digital/analog gauge provides critical operation indicators including clock/hour meter, fuel level, mode button, set/reset button, odometer/trip, gear position, speedometer/tachometer, needle display, differential lock, high beam, battery condition, temperature and oil pressure. 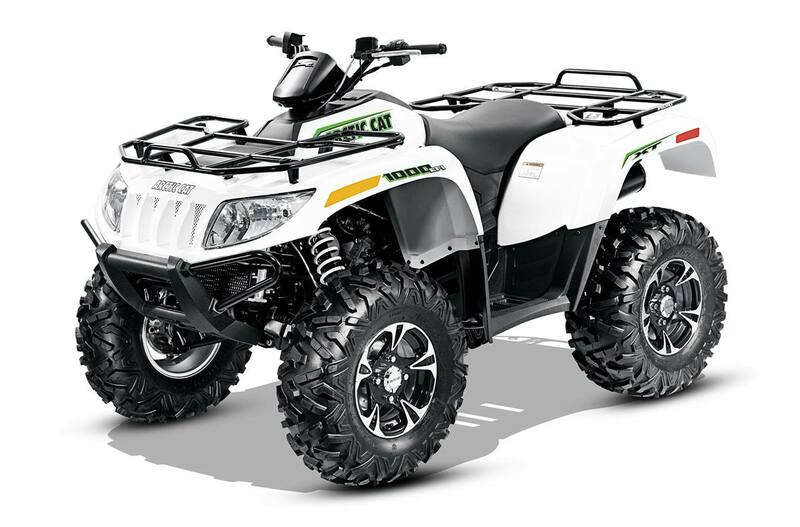 Maxxis Bighorn 2.0 Tires With Aluminum Wheels: Excellent shock absorption, large shoulder lugs for added traction and a wide footprint make this tire a perfect match to all that power. Aluminum rims give it that finished look. Front & Rear SpeedRacks: Rated for 100 lbs. carrying capacity on the front and 200 lbs on the back, these SpeedRacks are made from high-quality steel and have built-in entry points that make adding attachments a snap.